Patent for was granted in 1896. The typewriter was further developed and the first typewriters were manufactured in 1912. The typewriters attraction was its quiet typing mechanisms. The typebar strikes the platen at a lower velocity reducing the clattering. The bell signaling the end of every line was also taken away. The further reduce the noise, the typewriter is extraordinarily heavy. 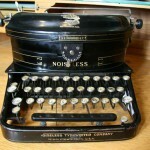 A portable typewriter was introduced in 1923. In 1924 the company was bought by Remington. 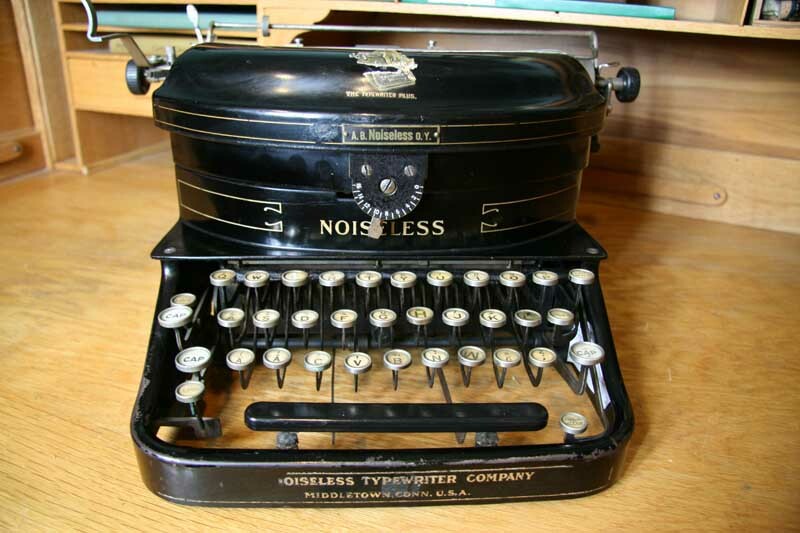 The Noiseless was reintroduced in 1925 as Remington Noiseless No.6.